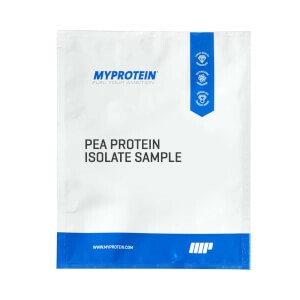 A great choice for vegetarians, vegans, and anyone with lactose intolerance — Soy Protein Isolate delivers an impressive 26g of protein per serving. Ideal when on a plant-based diet, it contains 90% protein content. Made from defatted soy beans, using an innovative process to deliver low fat and carbohydrates, as well as zero sugar — it’s perfect for increasing protein intake without adding unwanted extra calories. Take 1 scoop (30g) 30-60 minutes after a training session to maximize your results. And, you can choose from two delicious flavors — Chocolate and Vanilla. Chocolate: Ready to mix soy protein powder. Chocolate flavor with sweetener. Unflavoured: Ready to mix soy protein powder. Myprotein believes in providing value to their customers. Providing the best quality supplements at the most reasonable price. In this one, you can find all the traits that you look for in a protein. Delicious taste, easy mixability and highly effective. Also, with such an established brand, you need to worry about safety standards. It is banned substance tested. Supplement industry is growing at a very past pace and with new brands coming to the market everyday, it becomes difficult for the customers to choose from. I have always relied upon this brand. In this one, you can find all the traits that you look for in a protein. Delicious taste, easy mixability and highly effective. If you want additional offers on price you can use. I love the idea, because I’ve been looking for a vegan protein alternative. But, I have to say this protein does NOT mix well. I jumped the gun and got the big bag thinking that even if it was a little off I could tolerate it. I can’t tolerate it at all. If I could get past the fact that it’s so grainy and doesn’t mix, I could actually give a good review on taste and effectiveness, but in my opinion, it’s not effective for me due to the fact that I can’t get past the consistency. This is a great product for vegans. I started seeing gains and the mixability is good. The unflavored version is worth trying if you are a purist. It tastes just like unsweetened soy milk. After about 6 months of continued use it began to give me major gas problems though. I don't know what to do now because this is my go-to protein supplement. I enquired to MyProtein if they use non-GMO soy which is a worry for me because i consume a lot of soy. They have not responded yet. Good tasting protein! Not some ice-cream milkshake, but definitely not bad or unbearable. Doesn't mix well or is too viscous like others have described? Here's an easily fixable solution: Add more water and give it a good shake. Yes it takes a couple tries to get use-to, but its a great tasting, affordable and effective substitute to whey protein. Has a vegan bodybuilder I find it hard sometimes to hit my protein goal. This helps me alot on those days when I fall short. I like the chocolate smooth because I just add water and it's good to go. I never runs out of my protein chocolate smooth. I been having whey protein for years. But diary may be one of reasons that gives me acne so I decided to give soy protein a try. But this is really disappointing and disgusting. Usually I blend one spoon of whey protein with 6oz water. But 6oz water with soy protein is like super thick melted ice cream, it sticks on my shake and there’s no way to drink. I then added some more water, it did blend but it tastes chalky like everyone else said. Idk what other vegan protein taste like, but if you can have diary, go for whey protein. This is the best vegan protein I have tried. I have it every day in the form of protein oats. The chocolate flavor is my favorite! 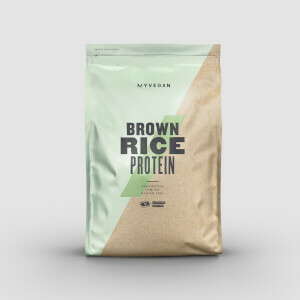 I’ve tried so many different vegan proteins and this is by far my favorite! Not super chocolately but I add cacao powder to my smoothies anyways. Blends sooooo well. I have a super cheap, almost broken kind of blender and my smoothies are still delicious. A must try!